People pick up an instrument and dream of playing in a band, but getting started can be confusing. 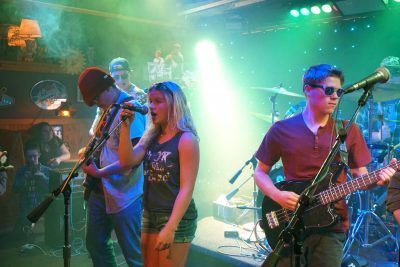 Our rock band programs provide a clear path to that goal with a consistent schedule of coached band rehearsals for all ages and experience levels, and live concerts every three to four months. Students realize the Rock Star dream, learn to play music in a supportive environment, and have an amazing time in the process! 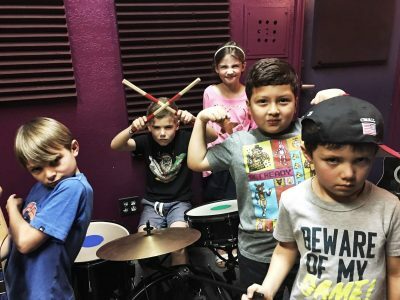 It’s called Kidz Rock, and it is exactly as described – a rock band program for kids 4-7 years old. No prior experience needed. Ambitious? Yes, but totally do-able, and kids and parents LOVE it! Rock band programs at Michigan Rock School are goal-oriented and interactive. Beginner to advanced skill levels and for all ages, instructed band rehearsals prepare band members for live concerts every 3-4 months. Make music lessons a team sport! Why should kids get to have all the fun? 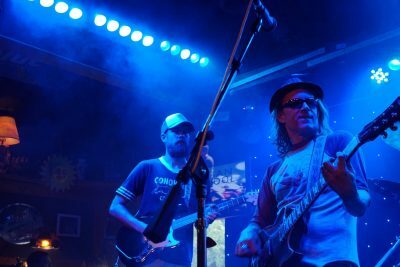 With weekly rehearsals and regular gigs, our adult rock band helps keep music from falling off your priority list. Our band coaches help the group stay focused and motivated so you can enjoy playing music!